Oh dear, the beautiful weather of the past week had deserted us by the time we reached North Wales late morning. 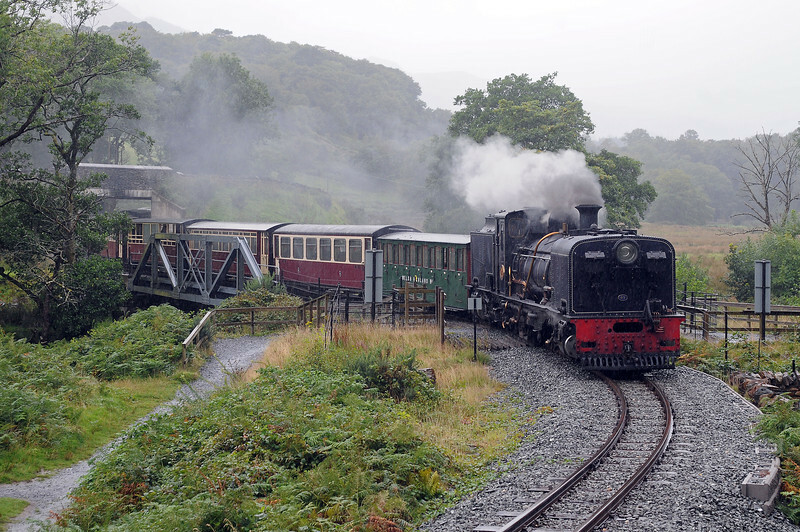 The 10:00 from Caernarfon to Porthmadog crossing the Glaslyn and entering the Aberglaslyn Pass. 87 is an NGG16 Beyer Garratt, built by Cockerill in Belgium in 1936.